Environmental Scientist with 2 – 5 years proven experience in the areas of environmental management and licences. The successful candidate will work on projects relating to water, waste and wastewater in the areas of environmental management, licence application, review and compliance. Provision of consultancy advice to a broad spectrum of clients on issues. relating to environmental legislation & regulation, resource efficiency, circular economy and general environmental management. Preparation of environmental licence and permit applications relating to waste and wastewater. Compliance Management and Reporting relating to IPPC/IED, waste management and wastewater discharge. Desk based research and feasibility studies relating to waste recovery, management and reuse. Representing ECOS and interacting with our clients, associates, environmental regulators and contacts both in terms of technical project work and business development. 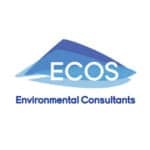 Applicants should apply by email to hr@ecos.ie, quoting the reference number for the role for which they are applying, and provide a cover letter and CV which demonstrates their suitability for the role. Closing date for applications is 7 December 2018.